FEDDIE GIRL The international adventure/thriller by Nona David FEDDIE GIRL is an international adventure/thriller about the experiences of an American teenager in a Nigerian (West Africa) boarding school. This novel offers a unique reading experience--witty, fun, and exhilarating. The masterful suspense, action, and sub-plot will curl your toes, keep you reading all night, and leave you thirsting for more. Back Blurb: Carlotta Ikedi (A.k.a Feddie Girl) has never liked school. Not in California. Not in Oklahoma. When her exasperated parents ship her off to boarding school–in West Africa–Carlotta faces a life, culture, and existence unlike anything she’s ever known. School rules and regulations, rising bell, lights-out, manual labor, inspections, dining time, prefects, punishments, mean bunkmates, and visiting days–it’s all here. But author Nona David takes Carlotta’s story a step further when her adventure’s lead to unfortunate incidents that threaten to drive her American family into the clutches of infidelity and organized crime. Boarding school doesn’t get any better than this… For those who have experienced the boarding school life, the adventures of Feddie Girl will bring those memories crashing back… For anyone else, get ready to see the world as Feddie Girl. Wendy Wallach's Review of "FEDDIE GIRL by Nona David"
Evie Alexis' Review of "Feddie Girl by Nona David"
Vicki Newell's Review of "Feddie Girl"
Susan Cook's review of "Feddie Girl"
Federal-Government-Girls-College Uddah, a small town located in Anambra state, south-east of Nigeria. Carlotta, a mixed race American teen sent to Nigeria at the demand of her also mixed-race father with Nigerian heritage, is opened up to a whole new civilization, which she deems a far cry from what she calls home. Given her situation and what she sees as a severe predicament, she gives up on any hope of being able to survive, but just in time discovers newly found friendships, an instinct of adaptation and a strength filled with maturity she never believed she had. As the story unfolds it matures in a way one may not have expected, as both Richard and Shelly; Carlottas parents must also take a journey of there own that if not travelled with caution, could cost them both the very family they are trying so hard to keep together. Nona gives great and accurate insight into the life of boarding school in Nigeria, the character and humour of the Nigerian people and a detailed scope into the diversity that resides in the country. From the description of the vibrant streets of Lagos, and the constant chatter of Carlottas class mates that will have you laughing away, to the mention of some of Nigerias well known delicacies, Feddie girl will allow you to explore and visualize the very ground of Nigeria, doing so in a way that is true and definitely not sugar coated. Everything and everyone make up the beauty of Lagos! Its no wonder everyone wants to come to Lagos. The Igbo's, Yoruba's and Hausa's. A city we call home. This book is an awesome read. You don't have to be a Nigerian or have a boarding school experience to fall in love with this book. The author clearly depicts two different worlds Carlotta experienced in this marvelous fiction and uses excellent diction to potray each plot. Life in a boarding school is a blast I must say and it gets even better with the unexpected circumstances that unfold while Carlotta is trying to adapt in a foreign land. I totally love the way the author introduces the commercial city Lagos: vendors, taxi drivers, mobs, concerts and the food - what could be better than that? I recommend this book for everyone. Did you attend a boarding school and want all those memories gushing back? Are you dying to know what boarding school life feels like? Do you want to have fun in watching an American teen adapt in Africa? Then read FEDDIE GIRL and you'll be glad you did. Remember to get one for a friend. I love this book!!! I couldn't put it down!!! A MUST-READ for adventure novel lovers and fans of multicultural fiction. I am an ex-Feddy Girl, (FGGC Onitsha) and I must say that this book blew me away. It offers a whole lot more than meets the eye. The author (Nona David) took the story to a whole new level by using authentic diction, twists, and turns that are unexpected and suspenseful. The story holds nostalgic memories and reminds me of those years, back in school, when we were young and carefree, surviving as we knew best in boarding school. The book captured it all: Manual labor, visiting days, Class periods, dining food, club practices... you will think you're right there with the characters living and breathing with them. It's an absolutely marvelous book and a MUST READ for all Feddy babes and guys, and for all those who schooled in Nigeria. Kudos to Feddie Girl!!! Kudos to Nona David!!! Kudos to all Feddy alumni!!! I just ordered my copy and can't wait to get it. It seems like it will be very interesting. I went to a boarding school and I can totally relate with it. It will bring memories back. I'll write a proper review once I get my copy and done reading it. Its a must read book. Boarders & non-boarders go get a copy. & you'll (boarders) see yourself laughing and nodding your head as if you were there, and non-boarder/day students it will give you an insight into how boarding house life really is,(and you can decide if you want your kids to go to a boarding school. lol. j/k) I rate it stars!!! This book is splendid!!! I highly recommend it to everyone!!! The words flow so nicely. The story is suspenseful: you're curious about... what comes next and you just can't stop reading till the end. Hilarious!!! LOL!!! The author certainly did a marvelous job and I'm amazed at how in-depth her research was. I could see myself as one of the characters in the book... LOL!!! Kudos to Ms. David--the novel is a terrific read!!! Will definitely recommend to my friends. I just read the excerpt from the novel, and my my I found myself back in Fed Onitsha.You know I've heard so many pple on fb talk about this novel and decided to just have a peep.......... all i can say is that Nona has a kind of writing style that is highly dramatic and poetic.She definitely has a way with words that seems to paint the picture as u read.i suspect this novel would fall into the category of novels that you want to know what's on the next page and u keep going on and on until u find urself on the last page. Well done Nona, the excerpt i read is really suspense filled and hilarious at the same time. One can easily fix up those characters looking back at school days hahahahahaha. The novel is awesome, I really enjoyed it. I'm now waiting for Feddie Girl 2. Hope it comes out soon. I'm currently reading this novel - Feddie Girl - It's really awesome! Luv it! Just got Feddie girl n loving it. I live here in cincinnati and I am myself a feddie girl (Federal Government Girls college Sagamu). Thanks for writing this. Would definitely spread the word. I've read the book and it's simply amazing!! A must read for all those who attended boarding school in Nigeria. The author dedicated the book to all Feddy alumni. It's so awesome! Trust me, as ex-feddy students, you will absolutely love and relate to the events in this book, you'll think you're right there with the characters, living and breathing with them. Lol! The novel is written for adults and reads like a thriller/international adventure with humor and romance thrown in. The sub-plots alone will blow you away! Lol! A big thank you to Nona David the author of FEDDIE GIRL for the wonderful thought of writing a novel that will help all ex-feddie students remember those good old days in boarding school. We the fans of Feddie Girl appreciate your efforts. my feddie girl is here..... i am sooo romancing this book tonight !!! Hmnn this is really exciting and great! I can't wait to read this book. I love your blogs and the excerpts of Feddie Girl. They remind me so much of my own experiences. I think it is a brillaint idea to write about Feddy school. Thanks, and please keep it up! PRO UNITATE! HAS ANYONE READ THE BLOGS YET? LOL! I'm just loving this! So interestin! I really enjoyed myself. A great novel!!! Teenage kids need to learn from the on start that the world doesn't revolve exclusively around them. Nigerian boarding school has a way of clipping wings and putting way-ward kids back in line. LOL!!! As a veteran of a Federal school in Nigeria, I can very well relate to the characters in this book. Highly recommended!!! I loved the book, too! I hv only read few pages and am already in love wt it. The book is a must read oooo!!!!! 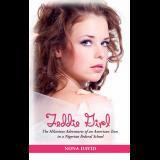 WE KNOW WAT LYF IS ALL ABOUT,WE D FEDDIE GIRLS.IM A FEDDIE BABE N AM SO PROUD OF THIS BOOK!!! The novel is captivating... I just couldn't stop laughing. It's a must-read!!! Feddie gurl! Hmm it wasn't easy oh. The bk really brought back good old memories. "Once started I didn't want to stop reading the book!" I, for one, am waiting for the sequel. The events in the novel wowed me. I'm definitely impressed!!! The novel is truly fantastic... I really luv it!!!!! what an interesting book, remainds me of the good old days in FGGC.i wish all FGGC gals can get to read this. thanks author! The author really did a marvelous job. The events are suspense-filled and hilarious at the same time. One can easily see themselves as one of the characters and take a fun peek back into school days. Amazing...!! !